/General /Why is there no Copy entry in the context menu when selecting text in a PDF document? This has to do with passwords and permissions set on the PDF document. If the permission to Extract Text and Graphics Permission is disabled / turned off, then Adobe PDF reader and other PDF viewers will not let users copy text in a PDF. 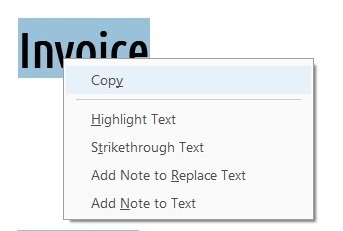 When PDF has the Extract Text and Graphics On / Enabled , there is a “Copy” entry in the Text Selection right-click menu. 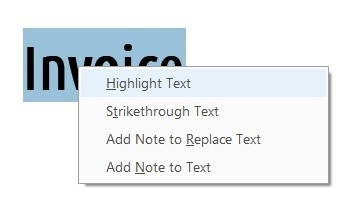 When PDF has the Extract Text and Graphics Off/ Disabled, there is no “Copy” entry in the Text Selection right-click menu. What are all the different document permissions in a PDF?